From time to time , I enjoy the days that all u have to do is to relax at home and think about nothing , and keep your day unplanned , so whatever comes to your way you will do it if want to . All what I did today , had lunch with J at the Gauche Grill , it is our favorite steak restaurant , then we went back home . During the week , I was really stressed , I couldn't stop thinking , Mom 7babte brought up again the pregnancy issue , she knows and encourages me about my decision , that after more than 2 years of trying and going through hard times during treatments , I stopped , and let everything to go according to God's plans . It was really hard , but with JJ supporting me , I reached a high level of peace with myself . 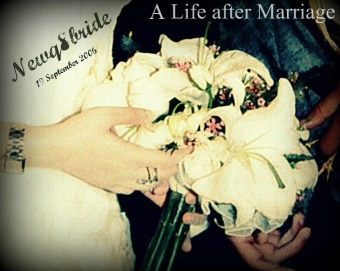 After that my life changed , and I became happier with my life and with hubby . So bringing that issue again , made me feel guilty :/ I don't blame Mom , and I know she wants to see me as a mother , but really I can't go back again to myself during treatments ,i just can't , it is not easy . It is natural to feel that really want to be a mother , but if it didn't happen , my life will not stop , I have faith in God el7mdelah and I know if it's going to happened , God will give me what I want at the right time .